Captain Ted was born and raised in nearby Schenectady, but spent summers on Lake George starting at a young age. His favorite activities growing up were hunting, fishing, and gardening. He attended Cobleskill State University and received an associates degree in Fish and Wildlife Technology. 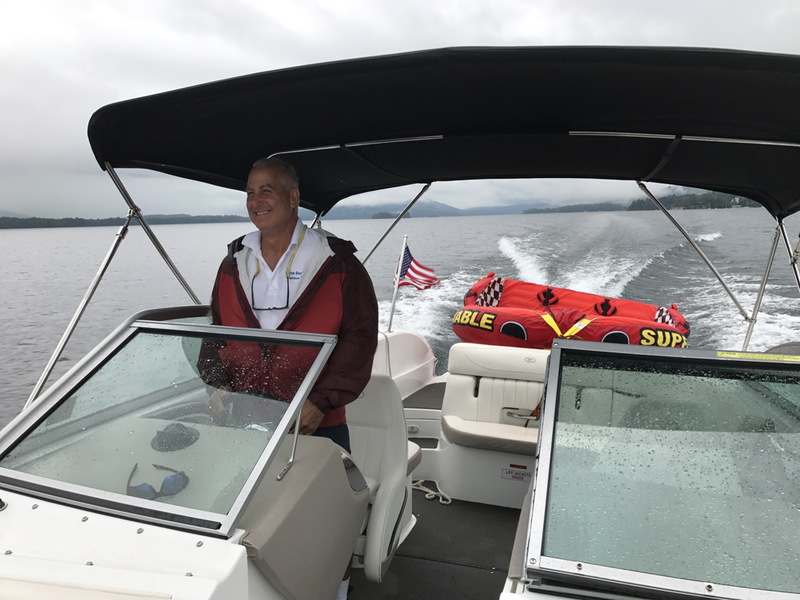 Ted has been in the hospitality and guiding business in Lake George his entire adult life and considers himself lucky to still be able to spend summers on the water to this day. He enjoys hiking, landscape photography, and exploring our nation's National Parks in his down time these days. Captain Tim was born and raised in the Lake George area. Growing up swimming in the lake every summer, he got his boating license at age 10 and began navigating its waters by himself. When not boating he was playing soccer, snowboarding, running track and field, and wrestling. He followed his father, Captain Ted's, footsteps and joined the local volunteer fire department at age 16. After graduating high school he tried his hand in the U.S. Marine Corps and then a brief stint in college. Since then he's been spending his winters traveling abroad. He always returns every summer to enjoy life on Lake George and loves sharing his home with others!